Why move from current standards of patient care to a more personalized approach to treatment? Experts at the School of Medicine describe today’s medical landscape as they plan for the care — and cures — of the future. Of the top-grossing domestic movies of 2017 to date, three of the Top 5 feature superheroes: ­Wonder ­Woman; Guardians of the Galaxy, Vol. 2; and ­Spider-Man: Homecoming. Similarly, in 2016, five of the Top 10 ­movies focus on adventure and heroes, including ­Captain ­America: Civil War and Batman v Superman: Dawn of Justice. Studying the genre, examples emerge at the top of movie lists year after year. In these films, the “heroes” venture out and engage in great and noble deeds against incredible odds on ­behalf of a group, ­population or civilization. The battle between good and evil is a consistent theme in art and considered a timeless and universal element of the ­human condition — not unlike the age-old battle between health and disease. Cancer, Alzheimer’s, multiple sclerosis, inflammatory ­bowel disease, diabetes, heart disease and more are formidable foes. Yet in their quest to conquer these debilitating, sometimes life-threatening adversaries and save lives, the ­Washington ­University Medical Center and its bold team of ­physicians and research scientists are starting to wield new, more ­precise weaponry. As these bright, committed men and women stand on the threshold of a revolution in medicine, they are primed to ­confront new obstacles and venture down new pathways in their pursuit of precision therapies designed for individual patients. David Perlmutter, MD, might question the label “hero,” yet he focuses his highly ­developed skills on behalf of society. Among his proficiencies is transformational leadership. As executive vice chancellor for medical affairs and dean of the School of Medicine, he directs a vast organization: hundreds of ­brilliant physicians, physician-scientists and research ­scientists; the No. 1 program in the country training MD/PhDs (the ­physician-scientists of tomorrow); the No. 1 Alzheimer’s disease research center; the No. 3 cancer center; and leading departments and centers in genomics, immunology, ­microbiology, pediatrics and more. Perlmutter also possesses keen ­vision. He sees the future of medicine right now: a “precision paradigm,” supporting the personalized treatment of patients, rather than the ­current standards of care that guide treating all patients with the same condition. By leveraging the medical school’s ­incredible strengths today, Perlmutter is ­positioning his team to make an even greater impact on human health tomorrow. The landscape en route to making this revolutionary shift is also being made over. The Washington University ­Medical Center — Barnes-Jewish and St. Louis Children’s hospitals, BJC HealthCare and the Washington University School of ­Medicine — is in the middle of a multiphase, long-term ­campus renewal project. The objective: to foster more ­collaborative medical discovery and improve patient care. From his office on the 12th floor of the new Mid Campus Center, Perlmutter is situated at the heart of this renewal. Underlying his vision and these infrastructure modifications is a major transformation in the academic, medical profession in general: a big change in the way physicians and research scientists view patients. For a very long time, the medical profession has known that patients have different characteristics impacting their disease, but because of the state of knowledge, clinicians and research scientists had to lump them into disease groups. Perspectives started to shift once the sequencing of the human genome was completed in 2003. Researchers could then begin to see the genetic variations in patients and consider their unique ­susceptibilities to disease. Perlmutter shares an example from his time as a clinician to further explain. A pediatric gastroenterologist, he has many years’ experience taking care of children with inflammatory bowel disease (IBD), which, according to the textbooks, can be broken down into two disease types: ulcerative colitis and Crohn’s disease. Yet Perlmutter knew early in his career that not all of his patients diagnosed with having ulcerative colitis responded the same way to the standard treatment for the condition, and the same was true of his patients with Crohn’s disease. Fast forward to today, and through genetic sequencing and analysis, researchers now know that more than 220 genetic variants are associated with IBD. “We were practicing medicine for children with IBD — and we still are today — based on a two-disease view, and ­treatments are designed for this two-disease view,” ­Perlmutter says. “But the truth is, one person’s disease is different from the next person’s.” This treatment model — not knowing or considering the different mechanisms occurring in ­individual patients — is behind the shortcomings of current IBD therapies as well as treatment for other diseases. Still, Perlmutter emphasizes, it isn’t enough just to note these genetic differences — these sequence variants — among patients. 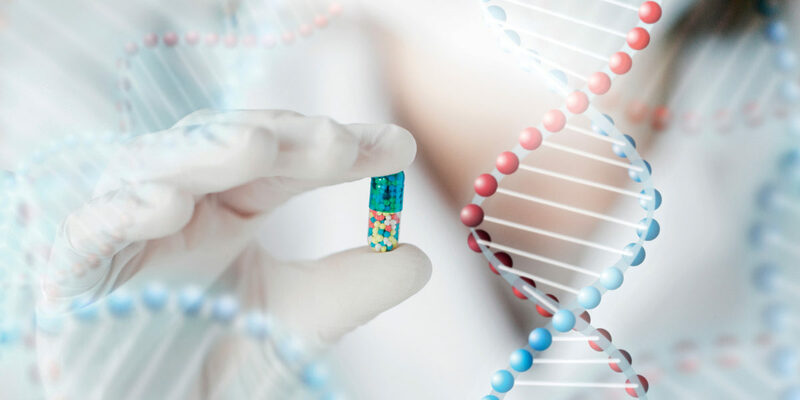 Another very important outcome of the personalized medicine paradigm, Perlmutter says, is that clinical trials will happen more quickly, will be more likely to give a definitive answer, and will be much less expensive because subjects of the trials will be genomically defined. “With a better evidence base and the ability to target expensive therapies to specific patient subgroups and, in some cases, avoid the need for any ­interventions, we will put ourselves in a position to reduce the cost of health care in a transformational way,” he says. 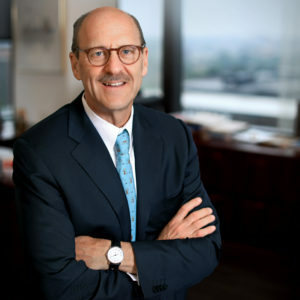 Perlmutter is promoting personalized, precision medicine because it’s a “powerful and revolutionary idea.” He says that it’s an enlightened view as well — and why he believes Washington University is so well-positioned to lead this ­transformation in medicine. By design, scientists who fit that ­archetype blanket the School of ­Medicine. 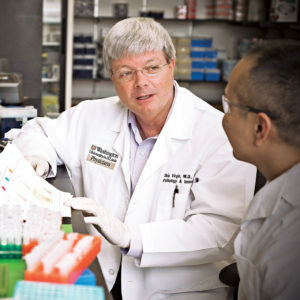 Some of these ­dreamers, ­seekers, ­hunters, ­explorers and ­investigators lead departments, ­institutes, ­centers and labs; some work at the bench, ­creating model systems and ­searching for ­genetic variants, mutations, signals and pathways; and still others delve into ­environmental ­influences, bacteria and viruses — ­pursuing clues to deciphering the causes of disease while decoding ­possible novel sites for targeted therapies. This article can highlight only a very few of the ­brilliant minds who, through their dogged determination, are ­hastening the school’s evolution toward personalized, ­precision ­medicine by focusing on managing health instead of disease, providing the right treatment for the right patient, and developing drugs and other therapies faster and at lower cost. One such investigator is Herbert W. “Skip” Virgin IV, MD, PhD, the ­Edward Mallinckrodt Professor and head of the ­Department of Pathology and ­Immunology. Virgin explains that you can ­personalize care for ­people only if you can diagnose what about them needs a ­specific therapy, and that’s where his ­department comes in. On the pathology side, for example, if a person has cancer, it isn’t always true that a certain ­chemotherapy will work or work well. So Virgin’s ­department ­deep-sequences cancer genes in tumors and then reports back to the ­oncologist. Then the oncologist can know what therapeutic choices might be most ­beneficial for a particular patient. On the immunology side, using IBD as an ­example (as Perlmutter referenced), Virgin explains that in the last 10 years, researchers ­discovered a strong genetic component for both the susceptibility and the ­severity of ­ulcerative colitis and Crohn’s ­disease. One ­question researchers have ­subsequently asked is, How much of the risk, say, for Crohn’s disease, is in the genes? The generally accepted answer is less than 20 percent, ­meaning that 80 percent of the risk is due to something else. And researchers now think that ­“something else” is environment: where we live; what our ­current ­exposures are; what our exposures were early in life, ­including to antibiotics, which could change our gut bacteria and permanently imprint our ­immune ­system; and what our microbiome — the ­bacteria, ­viruses, fungi and worms that live in and on us in ­enormous quantities — is like. In Virgin’s lab, researchers ­specialize in a part of the ­microbiome that’s called the virome, and they have been among the leaders ­in relating viruses to ­susceptibility in ­inflammatory bowel disease, AIDS, risk for HIV acquisition, diabetes and more. In Virgin’s lab, they’re also researching a certain set of genes in a process called autophagy, which is an intracellular degradation system that can also be a major determinant of disease ­susceptibility and outcomes. They’re studying the mechanism and then developing drugs — compounds to correct defects or take advantage of what they’ve learned about this pathway to treat disease. Again with IBD, researchers are going after this specific ­pathway therapeutically because they have discovered that one of the genes for Crohn’s is an autophagy gene. Now, can they make a drug that targets autophagy and treats Crohn’s disease? “That’s what we’re trying to do, and we’ll know when we’ve done it,” Virgin says. Like Perlmutter, Virgin imagines this as the future of all ­advances in medicine. “We study genes and figure out why a variation is related to a disease; we study environmental triggers; and then we do our very best to take apart a ­specific pathway — a gene or a pathway — that will lead to the ­development of therapeutics,” he says. Jeff Milbrandt, MD, PhD, is a dreamer. One of the medical school leaders who first recognized the need for using DNA ­sequencing in the clinical arena, he now heads the James S. McDonnell ­Department of Genetics. Milbrandt, the James S. McDonnell ­Professor of Genetics, says that we’re living in the “fanciful era” now — an era of genome editing, in which ­researchers have the power to alter genes. Further, they’re able to generate induced pluripotent stem cells (iPSC), taking skin cells or cells from blood or urine and transforming them into stem cells. These stem cells can then be converted into almost any cell in the body, providing a system for studying how ­specific mutations lead to cell malfunction and cause disease. To do this, scientists use CRISPR technology — a powerful editing tool that allows them to easily alter DNA ­sequences and modify gene function. In addition to editing cell lines and generating iPSCs, they can create model systems to explore and screen for thousands of drugs to see if any ­reverse a specified mutation. This is all happening now. In his own work, Milbrandt studies peripheral ­neuropathy, a condition that develops as a result of damage to the ­peripheral nervous system. Symptoms range from muscle tingling and weakness to pain and paralysis. This condition can be inherited or induced by diabetes or chemotherapy ­treatment for cancer. ­Chemotherapy is helping save more and more lives, yet at the same time, more folks are affected by the painful ­neurological side effects of their treatment. Using the latest technologies, ­Milbrandt and ­collaborator Aaron ­DiAntonio, MD, PhD, the Alan A. and Edith L. ­Profe­ssor of ­Developmental ­Biology, are working to understand the exact pathways that lead to the root cause of neuropathy: axonal degeneration. They have found the central executioner of this ­destructive ­process and have good leads on small-­molecule drugs that might work in neuropathy, but they are also testing whether gene therapy with viruses can fix the degeneration directly. 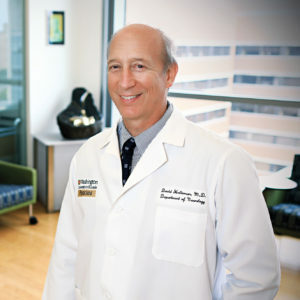 Perhaps no area at the university is as far ahead in the progression toward personalized, precision ­medicine as the Alvin J. Siteman Cancer Center at Barnes-Jewish Hospital and Washington University School of Medicine. With that goal in sight, Siteman has established very large, robust programs in leukemia, lymphoma, myeloma, breast cancer, lung cancer, brain cancer and more. And it has outlined four major strategic initiatives in collaboration with other departments to advance care: genomics, immunology/immune ­therapies, technology and imaging, and prevention. Eberlein says the question now is, How do scientists ­apply that knowledge to diagnose and treat the next individual ­patient who walks through the door? Siteman’s second initiative centers on immunology and targeted immune therapy. For years, researchers — ­including Robert Schreiber, PhD, the Andrew M. and Jane M. Bursky Distinguished Professor of Pathology and Immunology and director of the Andrew M. and Jane M. Bursky Center for Human Immunology and Immunotherapy Programs — have been studying how to turn on a ­patient’s ­immune system to make it recognize and ­destroy cancer cells, as well as how to control the process so it doesn’t also destroy normal cells and normal function. “Genomic analysis on breast cancer patients’ tumors, for ­example, has shown there are different mutations that are signatures to individual patients,” Eberlein says. ­Researchers collect these unique mutations, create a vaccine that ­targets them and then administer it to individual patients to stimulate their immune system to recognize the specific mutations. “This is more precise in destroying diseased cells than ­radiation or even surgery, and there is less damage to healthy tissue,” Eberlein says. The third initiative encompasses technology and ­imaging. For example, Siteman has the ability to detect cancer cells through photo-acoustic imaging. And it can insert an ­individual gene into a normal cell to study its impact, if any, on cell growth and division. 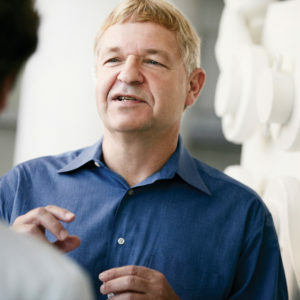 Siteman also has invested ­heavily in understanding the molecular mechanisms of ­various pathways in cancer. Again, how does exploring pathways promote progress ­toward precision medicine? To further explain, Eberlein hypothesizes two patients, Patient A and Patient B, who have the same leukemia. If each patient’s cancer is promoted by a different pathway, each cancer will respond differently to the same drug therapy, if at all. The discovery is another example of how understanding the biology of the disease and the molecular and genetic ­information of the pathways can inform physicians on how to treat certain patients in a very personalized way. One of the most ambitious developments in Siteman’s plan to save lives and help communities is conceivably through its fourth initiative: prevention. The BJC HealthCare organization has collaborative relationships with eight other health-care systems — not hospitals, but entire systems that together cover much of ­Missouri and the southern half of Illinois. The region includes four of the top six counties in the country for cancer deaths. 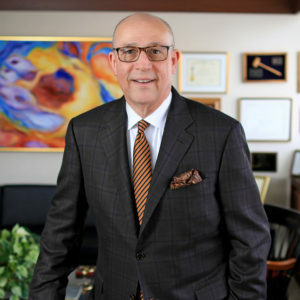 And Siteman, recognized as a Comprehensive Cancer Center by the National Cancer Institute since 2005, is proposing to these systems a collaborative and mutually beneficial arrangement: Siteman would provide effective, evidence-based cancer prevention programs and help oversee them in exchange for access to their patients’ genomic and clinical information. The goal is twofold: advise the other systems on how to care for their patients and build a large, relational database at Siteman. Such a database would help researchers develop algorithms for managing different populations and individuals who have breast cancer, lung cancer, prostate cancer and more. Eberlein clarifies how this database would help ­personalize treatment. In early breast cancer, for example, stage one/stage two breast cancer, the vast majority of female patients are treated with lumpectomy and radiation therapy, and some have a mastectomy. After these treatments, 80 percent of women with early breast cancer are cured of their disease. Twenty percent, however, have a risk of recurrence. 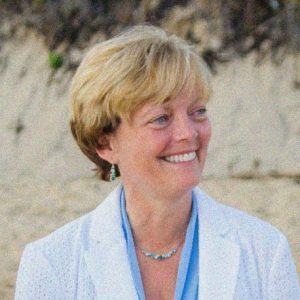 Although it’s going to take time to work through all the ­various mutations and pathways in all the types of cancer, Eberlein is excited about what’s happening ­already. “One of the first major impacts of precision ­medicine is that it’s going to show us which patients we should not be treating aggressively,” he says, which will lead to a ­reduction both in ­unnecessary treatment and in costs of health care. Another major concern for physician-­scientists is the aging population. The ­average lifespan in the U.S. for a male in 1912 was 51.5 years, whereas in 2012 it was 76.4. For women, the ­increase jumped from 55.9 years to 81.2. We’re ­living longer because we’re surviving cancer, heart disease and other disorders. That’s the good news. The bad news, ­however, is that with an ­increase in ­longevity has come an increase in the ­diseases that ­occur more commonly with age — the ­diseases of the brain — which currently have no great treatments. Overseeing the department charged with untangling the mysteries of ­neurological ­disorders, including neurodegenerative ­diseases, is David Holtzman, MD, the ­Andrew B. and Gretchen P. Jones ­Professor of Neurology, the ­Charlotte and Paul ­Hagemann ­Professor of Neurology, head of the Department of Neurology at the medical school, and neurologist-in-chief at Barnes-Jewish Hospital. Under his direction is a deep bench of resolute ­researchers working on Alzheimer’s, ­frontotemporal dementia, Parkinson’s, ALS, MS, stroke,­ ­subarachnoid ­hemorrhage and more. The most common neurodegenerative disease is Alzheimer’s disease, in which both age and genetics play a role. In the neurology department’s Charles F. and Joanne Knight Alzheimer’s Disease Research Center, led by John Morris, MD, the ­Harvey A. and Dorismae Friedman ­Distinguished Professor of Neurology, researchers have determined a number of genetic markers that are risk factors or causative for certain forms of the disease. In addition, in studies of early-onset Alzheimer’s disease, there is a huge research effort in the Dominantly Inherited Alzheimer Network (DIAN) and treatment unit, led by Randall Bateman, MD, the Charles F. and Joanne Knight Distinguished Professor of Neurology. These studies are determining the ­biomarkers and time course of the disease, both before and after the onset of symptoms, as well as testing novel treatments. “In terms of personalized medicine for early onset, ­individuals are being identified and put in novel clinical ­trials based on family history and specific genetic ­information,” Holtzman says. And for late-onset Alzheimer’s, the most ­common form, Holtzman says the center is identifying people before they’re symptomatic, trying to determine whether ­researchers can predict the onset of symptoms. Some individuals are in clinical trials based on their biomarkers. The blood-based screening test, discovered in Bateman’s lab, aims to detect certain forms of amyloid beta, which ­collects in brain amyloid plaques, that are thought to contribute to Alzheimer’s disease and its progression in people before they become symptomatic. Regarding new therapies, one treatment, developed in Holtzman’s lab a few years ago, is now in Phase II clinical trials. It’s an antibody to tau, which in some people collects into toxic ­tangles that damage brain cells and contribute to neurodegenerative diseases. (See related content, “A promising future,” to learn more about doctoral students contributing to such ­discoveries in Holtzman’s lab.) And another researcher, Tim Miller, MD, PhD, the Clayson Professor of Neurology, has made a discovery on ­antisense oligonucleotide treatment for tau, trying to prevent ­disease onset or halt disease progression, that will soon enter trials. One molecule, called TREM2, was discovered about 15 years ago by Marco Colonna, MD, the Robert Rock Belleveau, MD, ­Professor of Pathology and Immunology. “We didn’t know then that it was ­connected with Alzheimer’s,” Holtzman says. “But four years ago, it was discovered that mutations in that gene put an ­individual at higher risk of getting the disease.” Since then, researchers in ­Colonna’s lab; Holtzman’s lab; the lab of Laura Piccio, MD, ­PhD, associate professor of neurology; and others have been trying to better understand TREM2’s role in the inflammatory response, ­trying to figure out whether to turn that on or off as a treatment. In a recent study from Holtzman’s lab published in ­Nature, it was shown that the most important genetic risk factor for Alzheimer’s disease, APOE, appears to modulate brain ­injury in part through modulating the brain’s innate immune ­response. Holtzman says the big-picture issue is that ­inflammation is definitely involved in Alzheimer’s disease. Therefore, researchers are trying to determine how and when to alter that inflammatory response to best effect a change in progression at the individual level. Questions remain: How much effort will it take? And how much time? According to those on the front lines, it will take a massive effort and require lots of resources. And, as with any epic battle, it will require perseverance and incredible ­dedication and focus. Originally published by The Source, Washington University in St. Louis, with permission.